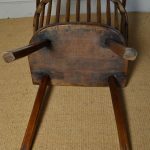 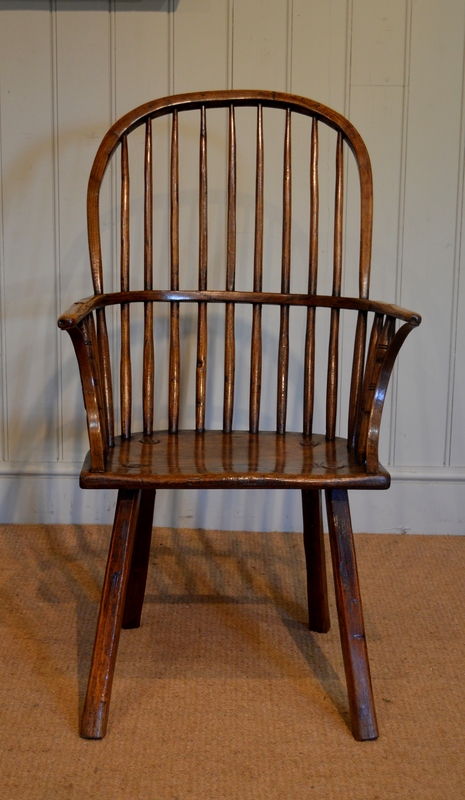 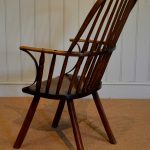 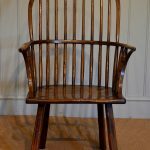 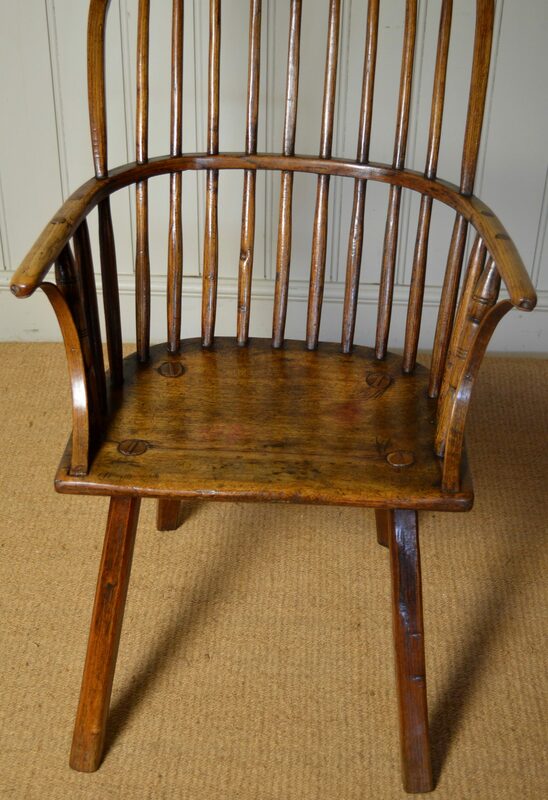 A good 18th century English double hoop-back Windsor stick chair. 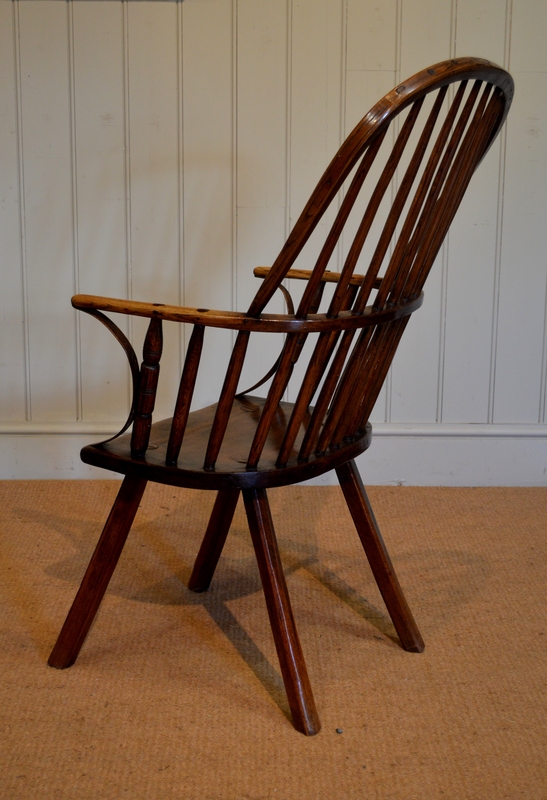 With hand-drawn spindles. 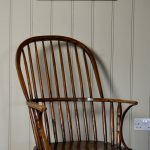 The front of the arms are supported by turned spindles, with a curved cleft ash section, which is a very rare and unusual feature. 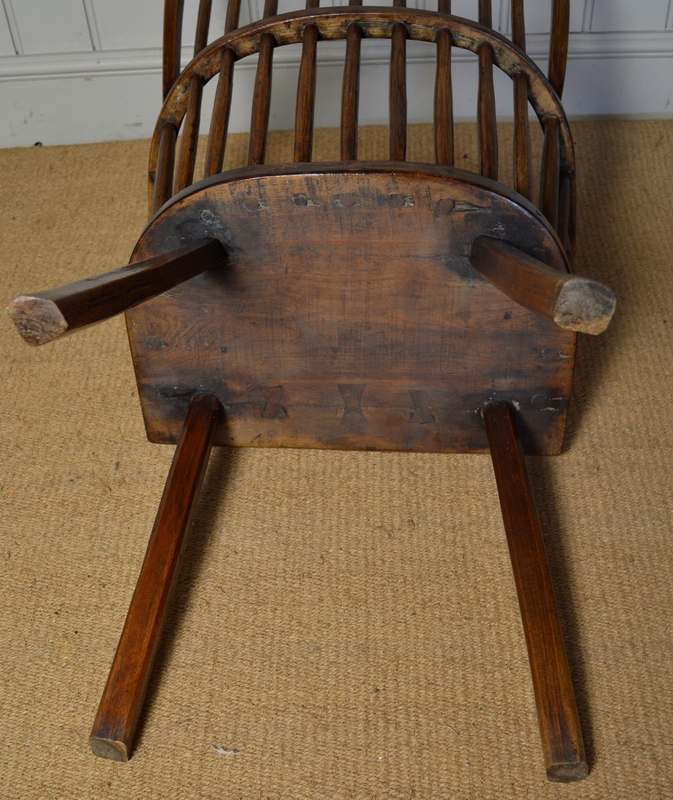 Standing on unusual primitive hand-shaped legs. 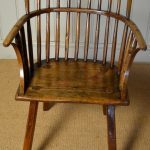 Ash with good nut-brown colour.